With 100 days to go before the curtain rises on the London Games, activists are stepping up their campaign against the corporate sponsors’ dubious environmental credentials. They accuse the companies of paying for their “green” status. London has dubbed the Games as the “greenest ever”, but the involvement of companies such as Dow Chemicals, BP, Coca Cola and McDonald’s has drawn activists’ ire. Their multimillion-pound sponsorship of the sports event wins them the title of “sustainable partners.” Activist groups have branded this as an attempt to “greenwash” past unethical activities. “I know first hand just how little scrutiny is allowed when sponsors are chosen. Greenwash Gold 2012 is a chance to turn this around by letting the public vote for the least ethical sponsor,” said Alexander. She accepted that while the London organizers of the games had taken steps to improve sustainability, the International Olympic Committee (IOC) had done little to coerce companies into raising environmental standards before signing sponsorship contracts. The London Games’ top sponsors shelled out 40 million pounds each for the privilege of the sustainable partner status. Kerry-Anne Mendoza, spokeswoman for Our Olympics Campaign, told RT that the sponsors "with the deepest wallets and smallest consciences" had been picked for the Olympics. “This is basically an 11-billion-pound public taxpayer-funded advertising campaign for some of the worst corporate criminals in our world today,” she told RT. The London Organizing Committee of the Olympic and Paralympic Games (LOCOG) has in the past been loath to address the attacks against its sponsors, maintaining it is down to the companies to defend their credentials. However, in response to the step-up in criticism, the committee issued a statement defending the corporate sponsors. “Without our sponsors the Games wouldn’t happen. They provide funding and expertise to help us stage the games. 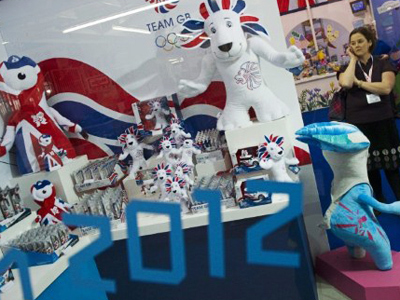 They are also integral to how the Games are promoted to sports fans all over the world,” said a LOCOG spokesperson. Thus far activist groups have carried out a number of peaceful protests. But a protester earlier this month who threw himself into the water at the Oxford-Cambridge Boat Race, forcing a restart, has worried authorities. In addition, the Campaign for a Sustainable Olympics created a copycat Olympics website earlier this month, falsely claiming that the LOCOG had dropped BP as a sponsor over its questionable environmental record. The London authorities have said that people have a right to protest peacefully, but emphasize a no-tolerance attitude to disruption of the Games. 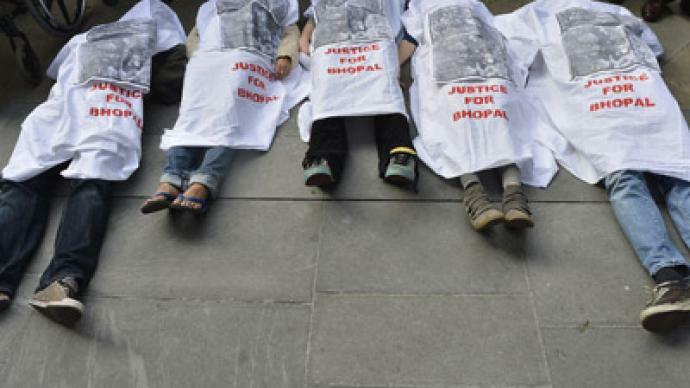 By far the highest-profile case against the Games’ sponsors has been the Bhopal Medical Appeal's campaign against Dow Chemicals. The company sponsored a seven-million-pound fabric wrap of East London Olympic Stadium that would have carried the company’s logo. However, protests lead to the company withdrawing their insignia from the banner. 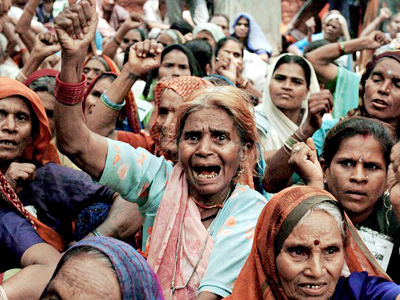 In 2001, Dow Chemicals purchased Union Carbine, the company responsible for the Bhopal chemical disaster in 1981 that killed 25,000 people in rural India. Chemical fallout still affects the Bhopal region, with calls from the Indian government for Dow to implement a clean-up operation.